Geetesh Bhardwaj at AIG? No, Now Vanguard! A few weeks back a few researchers put out a paper that essentially said trend following is bunk. 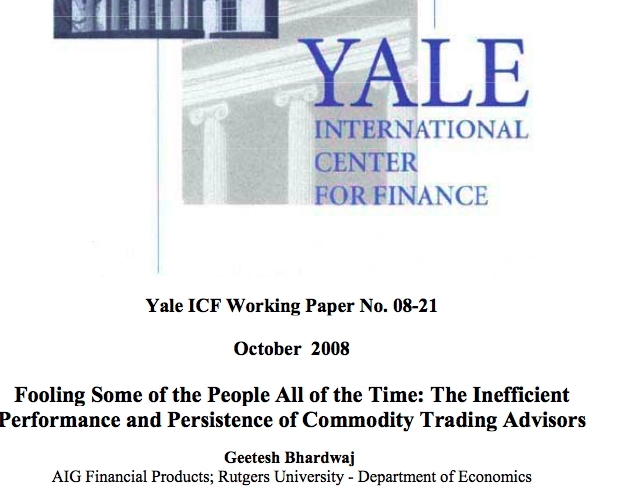 I commented at the time that one of the authors was at AIG investment products and mockingly said, “next!” Turns out the lead author, Geetesh Bhardwaj, must have taken my criticism to heart, for his academic paper now says he works for Vanguard. Quite a switch in span of two weeks!